while at the dinner table. The Disgusting Sounds key chain offers variety of gross, revolting and just plain wrong sounds for you to unleash at your leisure. Nothing breaks up a silent room better than the rumble of passing gas or gives a cook more pride than a big belch after the perfect meal. 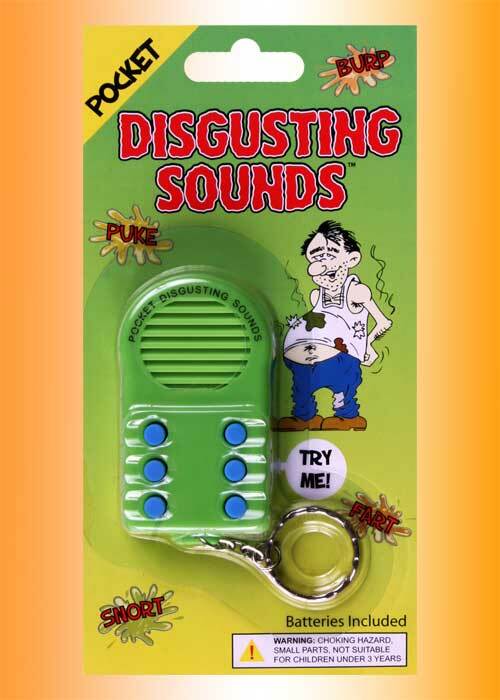 The Disgusting Sounds key chain will have them rolling in the aisles or at least running for the bathroom. 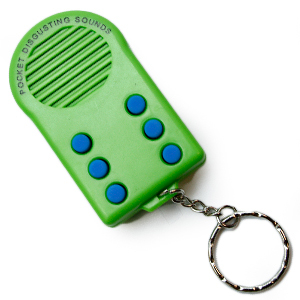 Check out our video demonstration of the disgusting sounds farting and burping keychain. Some things are funny no matter how old you get. Fart button in public. Hilarious!